Nevertheless, we can sort all the rest of it out in the morning. 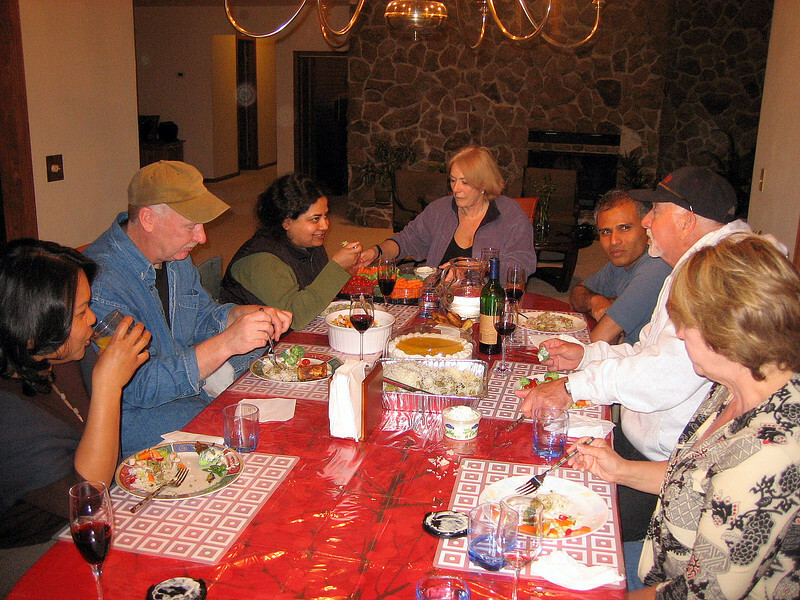 Right now it’s ‘party time’, with fine Indian spicy fare and my new friends: Vijay & Mo, Richard & Arlene and Don & Joyce. Vijay and Richard hope to ride south with me, at least for the first few hundred miles of my long journey back towards the Atlantic seaboard.